Houses built using natural-looking grey stone appear historic and distinctive. 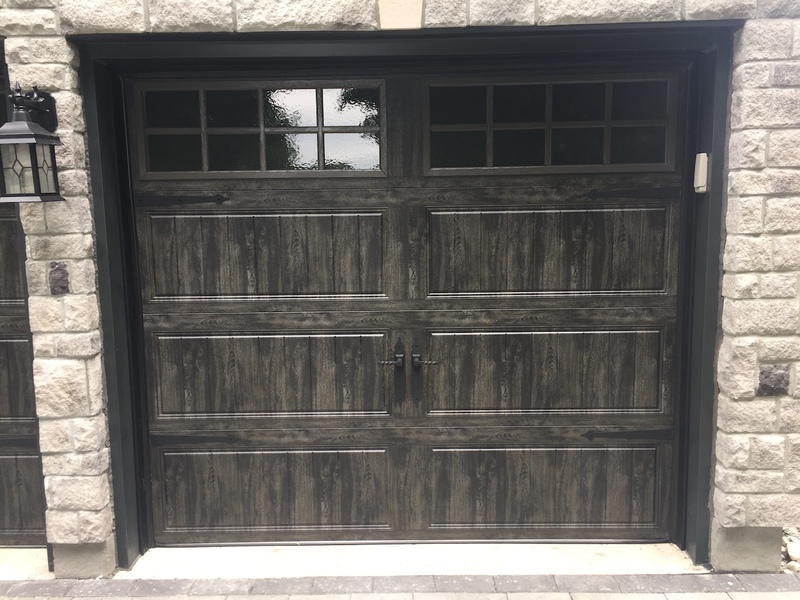 They call for garage doors made of natural wood that is stained grey or black but doors like these require sanding and re-staining every few years. There is another option; now we supply Clopay garage doors in two varieties of Slate Finish that look striking. They are Ultra-Grain® Oak andUltra-Grain®Cyprus. From bland to beautiful, dull to dashing, ho-hum to harmonious. 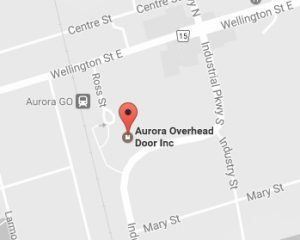 Creative tips for picking a garage door design. When you see your garage do you think, “A garage door is just a door and it looks fine.” However, a suitably designed garage door can radically improve the appearance of your home. Replacing the door on your garage is a fast and cost-effective way to give your house a facelift – that can be stunning. 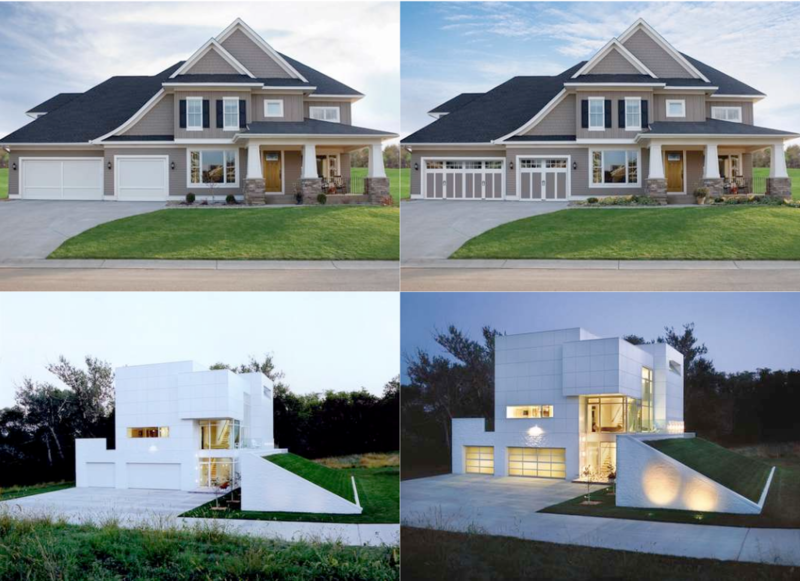 To illustrate the opportunities, here are fives houses where new garage doors improved their look – and value – dramatically.